As we grow up, we realize how much our mothers are truly our best friends. They have supported us through all of our lives ambitions and have been our rock when things get tough. 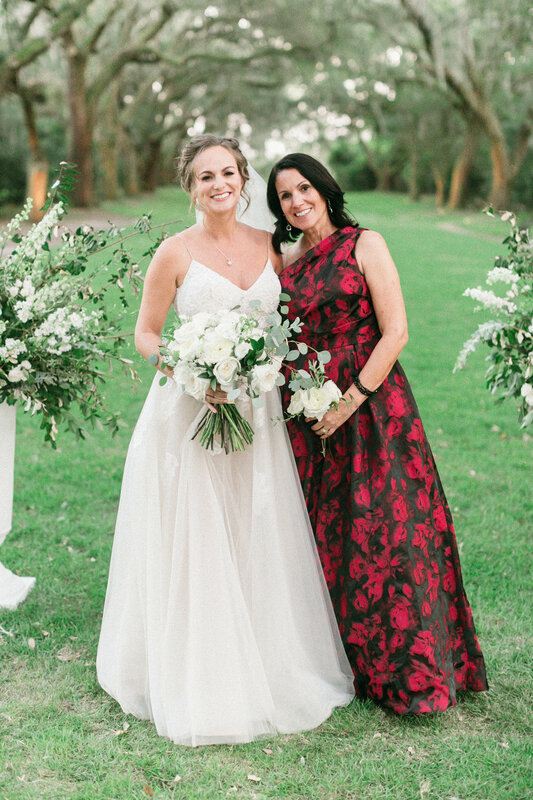 We at Pure Luxe Bride can't imagine going through the wedding process without them, and have created a list of special moments that a bride may share with her mom! 1. Dress Shopping: One of the most important details in your wedding is your bridal gown! We all value our Mom's opinions, and it wouldn't be the same if she wasn't there to help pick out the most important piece of clothing ever. It's such an emotional day when a mom sees her little girl all grown up in the dress of her dreams, but be warned, happy tears might (will) be shed! 2. Pre-Wedding: To calm any pre-wedding day nerves, sneak away for special mom and daughter time. A spa day will be very relaxing, and a fun memory to share! Mani pedi's, ladies lunch, a day at the beach, or anything you both enjoy to do together. 3. Getting Ready: Then, once the big day rolls around, have your stylist also do your Mom's hair and makeup. Afterwards, she can help you get into your dress and make sure everything is perfect! 3. Exchanging Gifts: One way to say thank you to your Mom is giving her a special gift to show gratitude for all her help. This could be a handwritten letter or a piece of jewelry. Just a little something extra special to show her how much you appreciate everything she has done for you growing up and with the wedding! Big or small, this will be something she'll treasure forever! 5. Something Borrowed: Incorporate a piece of your mom's lace from her wedding gown or a broach into your bouquet to add a special touch on your big day!